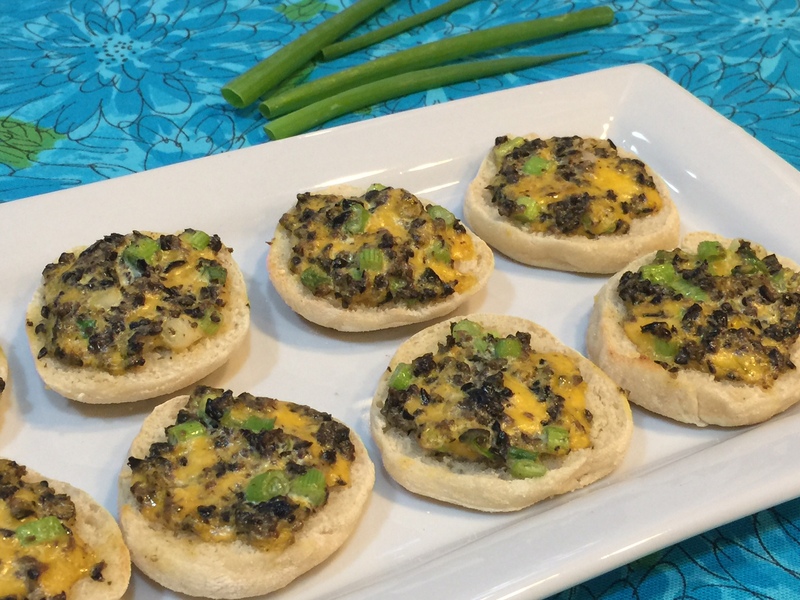 CURRIED CHEESE AND OLIVE SPREAD – A Savory Treat! Savory CURRIED CHEESE AND OLIVE SPREAD tidbits. Last week in a quest to de-clutter my home, I did a purge on my overly stuffed recipe drawer. Two of the surviving recipes beckoned from my now organized pile: Curried Cheese And Olive Spread to be served on English Muffins and, coincidentally, English Muffins. The Curried Cheese And Olive Spread was my mom’s recipe. FYI, by “my mom’s recipe” I mean my mother found it somewhere. My mother was a very nervous cook – she never created her own recipes, but she did have a talent for finding amazing ones conceived by others. In actuality, Curried Cheese And Olive Spread is meant to be an appetizer served on quartered English muffins. But I’ve always had leftover spread and simply used it as a hot sandwich topping. Waste not, want not! In my last blogpost, How Clutter Control Lead To ENGLISH MUFFINS, I shared my surprisingly simple English Muffin recipe. One benefit to making them is that you can size them according to need. If you choose to purchase ready-made, you’ll have to cut them into quarters, which makes these tasty tidbits more prone to spillage onto your brand new silk blouse. NOTE: This easy-to-make spread can be made ahead of time. Bonus! Mix together the olives, scallions, cheese, mayonnaise, salt, and curry powder. Top English Muffins with the spread. Unless your English Muffins are literally one bite-sized, don’t pile too much topping on them – they can be messy. Place loaded muffins on cookie sheet and broil 4″ from heat for about 3 minutes, until cheese is melted and bubbly. If using standard sized English Muffins, let set for a moment and then cut into quarters.